Vervain stems from the Verbenaceae family and is found in Central and Southern Europe, as well as Northern Africa and South America. It has antiseptic, detoxifying and anti-inflammatory effects. Vervain is suitable for the treatment of acne, as well as strengthening the connective tissue. 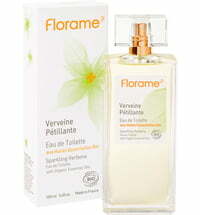 In aromatherapy, vervain oil has inspiring, motivating effects, as well as promoting concentration. It helps fight listlessness, inactivity and nervousness, as well as support mentally strenuous activity.